Marci Penner and her father, Milferd Penner, co-authored three Kansas guidebooks in the early 1990s and then founded the Kansas Sampler Foundation. The mission of the foundation is to help preserve and sustain rural culture. Marci is currently the executive director of the Foundation. In 2002 and 2003 Marci went to every one of the 627 incorporated cities in Kansas to research for "The Kansas Guidebook for Explorers." The observations, conversations, and fact-finding not only resulted in a popular 432-page guidebook but also provided excellent information for the Kansas Explorers Club and We Kan! newsletters that Marci writes. Marci presents dozens of speeches, slide shows, game shows, and seminars in Kansas and beyond each year. She consults daily with Kansas communities and often with other states interested in the concepts of the Kansas Sampler Foundation. The Foundation hosts the annual Kansas Sampler Festival, a Retreat for Rural Leaders and a biannual We Kan! Conference. She is a tireless advocate for rural communities and promoter of what there is to see and do in the state. Marci, a graduate of Kansas University and a double-sport letterwinner, received her Master's degree in Counseling and Guidance from the University of Wisconsin. She spent five years in the Philadelphia area as an elementary guidance counselor before returning to Kansas in 1990 to work with her father. The offices of the Kansas Sampler Foundation are located in the Kansas Sampler Center on the family farm near Inman. Marci is dedicated to helping Kansans see Kansas with new eyes and to keeping our communities alive and vibrant. 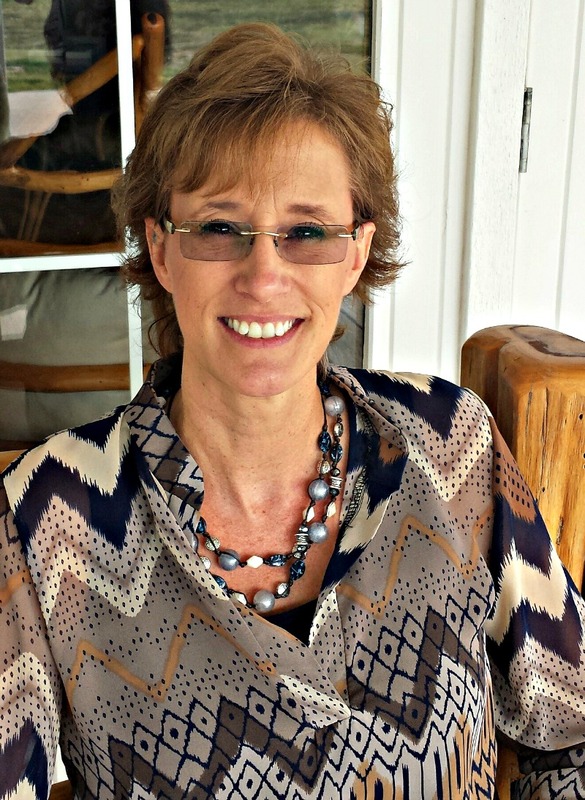 WenDee's main task with the Foundation is to oversee the Kansas Sampler Festival and improve results by supporting the host community and creating a consistent template. The Kansas Sampler Festival is the signature event of the Foundation. She also is helping upgrade Foundation programs in all technical areas, is converting thousands of slides to digital, and is taking current digital photographs around the state to update the photo bank. WenDee helps organize the We Kan! Conference, the Retreat for Rural Leaders, and activities of the Kansas Explorers Club and assists with the many diverse projects that help preserve, sustain, and grow rural culture. Kim Clark started her position as bookkeeper for the Kansas Sampler Foundation in January, 2012. She also serves as bookkeeper for Clark Construction Service, Inc. and is Finance Assistant for Strataca. She previously held accounting positions for the Historic Fox Theatre, Clark & Richardson Construction in Hutchinson and jobs in Colorado. Kim is currently going to Hutchinson Community Junior College to get an accounting degree. She also keeps busy cheering for her daughter, Morgan, at Nickerson High School volleyball games and guiding her with the college selection process. To complete her schedule Kim takes care of two dogs, one Pionus Parrot, several dozen chickens, and keeps KSF staff and family stocked with brown eggs. Kim and husband Mark have three children. Kim’s step-daughter is in the Air Force, step-son is a student at Hutchinson Community College and daughter Morgan will be graduating from Nickerson High School in December of 2014. 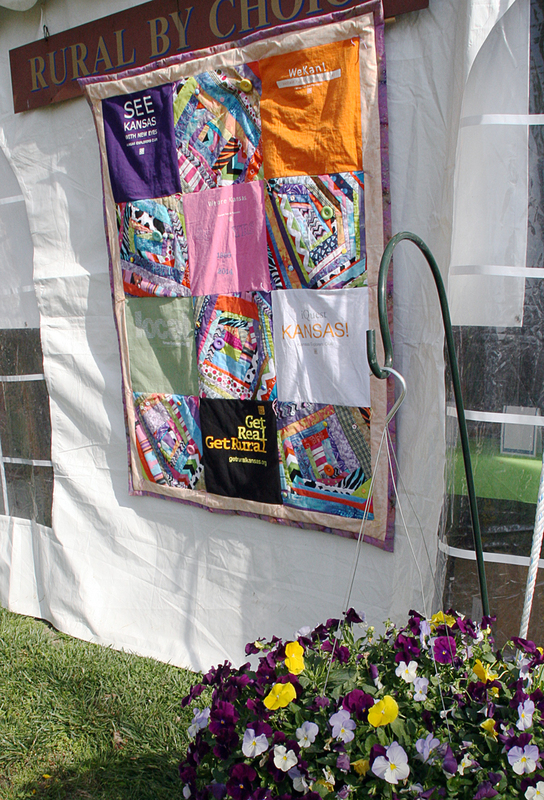 NOTE: Kim and her daughter, Morgan, created this beautiful quilt from Explorer Club t-shirts to commemorate the 25th anniversary of the Kansas Sampler Festival in 2014. They presented it to Marci as a surprise at the opening ceremonies and it later hung at the entrance to the Kansas Explorers Club tent during the festival. It now proudly hangs in the lobby at the Kansas Sampler Center.